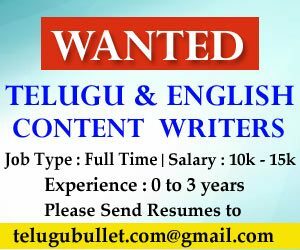 TeluguBullet.com, associates and employees are not responsible for any errors, omissions or representations on any of our pages or on any links on any of our pages. We hereby expressly disclaim any implied warranties imputed by the laws of any jurisdiction. We consider ourselves and intend to be subject to the jurisdiction only of the courts of the state of California. TeluguBullet.com also contains material in the form of inputs/feedbacks submitted by users and TeluguBullet.com accepts no responsibility for the content or accuracy of such content nor does it make any representations by virtue of the contents of TeluguBullet.com in respect of the existence or availability of any goods and services advertised in the contributory sections. TeluguBullet.com makes no warranty that the site contents are Virus -free or anything else, which has destructive properties and shall have no liability in respect thereof. Every effort is made to keep the website up and running smoothly. 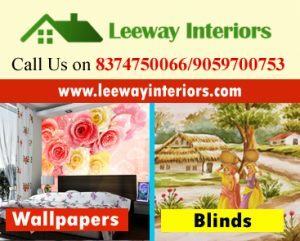 However, TeluguBullet.com takes no responsibility for and will not be liable for the website being temporarily unavailable due to technical issues beyond its control. If you have any questions or concerns about a published article, please send us email at [email protected] . We will review your request and article will be removed immediately.